June 3, 2016, 9:54 a.m. June 3, 2016, 9:54 a.m.
Statistics have revealed that one in every five new motorists in the UK get involved in a road accident during the first year of their driving and worse, one in every three motorists who gets killed in a road accident is aged 25 years and below. It has been observed that lack of skills, overconfidence, adrenaline rush and disregarding road rules are some of the most common causes of the accidents. Therefore, this is a clear identified gap and with this in mind, we have listed the top ten tips for new drivers to be confident and safe on the roads. It is important to know the car you are likely to drive inside out. Before you decide to drive it around, ensure that you spend some time simply sitting behind the wheels and getting accustomed to the buttons and switches. One of most important tips for new drivers is to learn where the warning lights and the hazard lights are and how to operate the fog lights on the front and the rear end. Get accustomed with the signals and indicators so that when you are on the roads, you can seamlessly navigate them without getting distracted and causing accidents. If you drive a two wheeler well, you are sure to become an excellent four wheeler driver. Traversing the city on a two wheeler will give you a real picture of what it takes to be on the roads so that when you are sitting behind the wheels of your car, you know what to face and how to avoid. Such tips for new drivers will put them in a better position to predict the behaviour of the fellow drivers and other pedestrians. Check your blindspot, and others’ too! Blind spot could be a major reason for accidents and crashes. The rear view mirrors of your vehicle shows who is right behind you, however they do not detect what is beyond your peripheral vision such as motorbikes and cars which may try to get ahead of you and will end up with either of the two crashing against each other. Similarly, one of the most important tips for new drivers is to always remember that your fellow drivers have their blind spots too, and although you have been careful enough to anticipate yours, they might not do the same. So it is up to you to take the responsibility of being the more matured driver. If you are driving up close behind a car, it can so happen that the driver ahead has not noticed you. Therefore, go ahead or stay parallel or simply pull back till they can see you. One of primary tips for new drivers is to maintain a steady limit which is neither too high nor too low. The roads in the UK have specific speed limits mentioned therefore, stick to the limits all the time. Avoid braking and accelerating frequently as it might confuse your co drivers and lead to car crashes. Refrain from taking the highway if you are still not confident as they require you to maintain a steady higher speed. If you are driving in the UK, chances are that you will face rains, fog or ice pretty often. The best way to get accustomed to such weathers is to practice driving in them from the moment you have procured your driving license. Once you venture out, you will notice that driving in such weather conditions requires you to alter your driving styles as your car will behave in a different way. You will witness how braking covers longer distances, how grips are decreased and the tyres function during monsoons and on snow. Tips for new drivers in this case would be to adopt your individual style of driving during the practice sessions which will help you if by chance if you encounter such weather on the road. A responsible driver not only keeps a tab of the actions of his fellow drivers but also signals to let them know about his whereabouts. Learn to use the indicators when you take turns, change lanes or suddenly stop. If you are a speed junkie and need your speeding thirsts to be quenched, instead of speeding on busy city roads, opt for track days where you can enjoy speeding in a safe environment. You also get to learn how you car handles speeding and you can find out your vehicle’s limit and yours too. Driving instructors mostly teach you driving under ideal conditions such as perfect weather and empty roads. The real challenge comes when you have to drive on busy roads, bad weather conditions, odd times of the day, motorways or on rough roads. Pass Plus training teaches you to drive under stressful conditions and makes you a smart and confident driver and such tips for new drivers also assist them in securing an insurance policy with comparatively lower premium. Never ever answer phone calls, snack in between halts when you are driving. Remember, the road demands your 100% concentration and even a miss of a split second can cost you or a fellow driver or pedestrian dearly. Your hands should always be on the steering wheel, preferably in an 8 oclock 4 oclock position and your eyes straight on the road ahead. 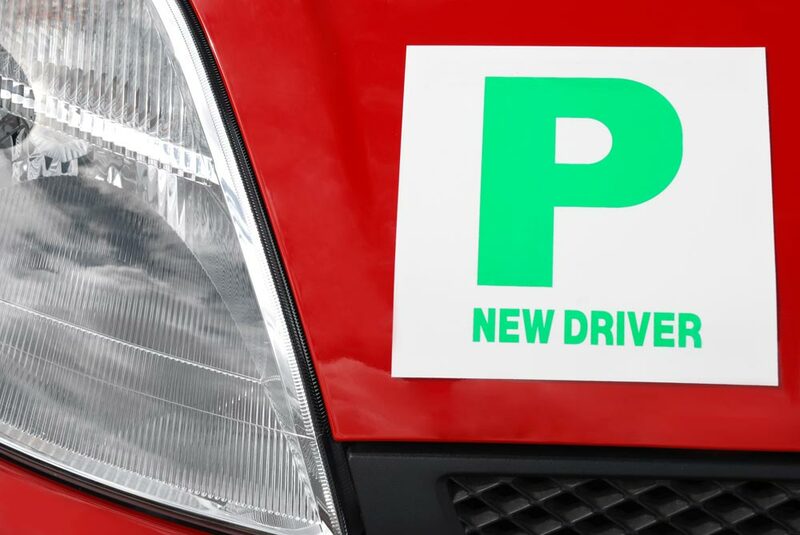 If you are a novice driver and require more practice, it is best to always be accompanied by an experienced driver who can guide you to navigate the wheel. Refrain from carrying your friends and mates until you have become enough experienced at driving. When you finally decide to take them for a spin, ensure that your driving skills are not affected negatively. Avoid speeding or spinning to impress them. Of course you will make mistakes. Do not be disheartened. These mistakes will help you get better at your driving. It takes motivation, perseverance, experience and a whole deal of practice to become a good driver. Once you follow all the above tips for new drivers, you will notice that after a few years, driving will become a second habit.